Tailored edge with triple scallop design embroidered along the inside flange and along the hemline of sheets and cases. 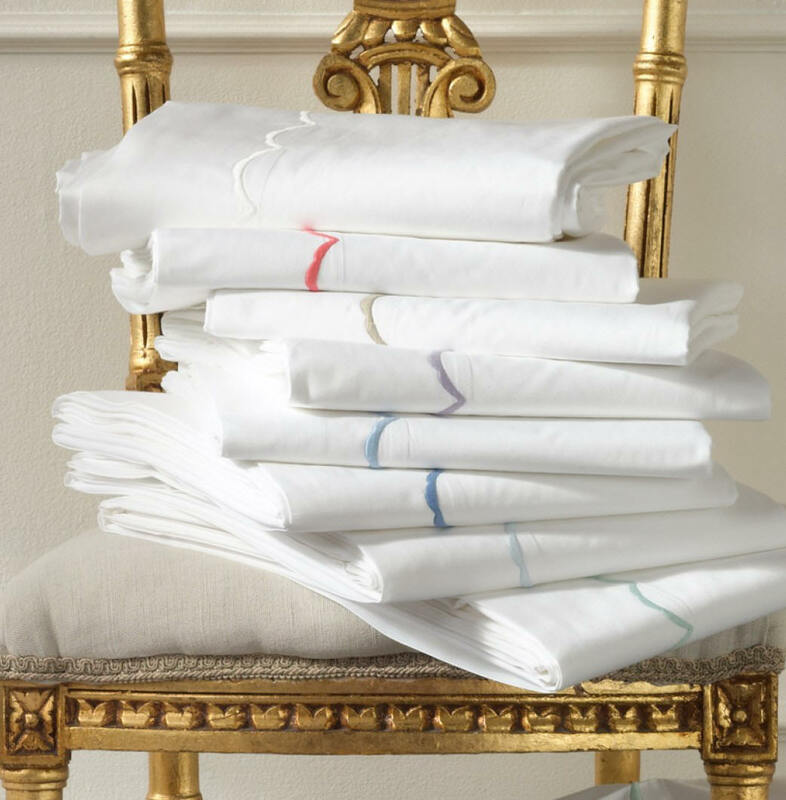 Sheet Sets include 1 Fitted, 1 Flat and 1 Pair of Cases. See Size Guideline Below. Deep Pocket Fitted Sheets. Custom Product- Delivery approximately 2-4 weeks.